1. 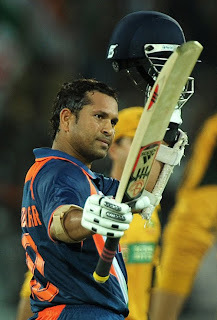 He always plays a brilliant innings before my exam and hence doesn’t let me study. 2. Every time that I think of becoming an atheist, he gets into the nineties and I have no choice but to pray. 3. Every time I take a resolution not to bite my nails, he gets into the nineties and I am left with no choice but to chew on my nails. 4. He keeps all the records to himself. 5. He makes a lot more money than me. 6. He costs way too much on ‘super selector’ but since I have to pick him, the rest of my team gets weakened. 7. During a match, invariably when I want to go to the bathroom, he hits a boundary and hence I have no choice but to sit and watch the replay. 8. As soon as I convince myself that God does not exist, he plays a straight drive and proves me wrong. He is going to retire sometime in the future..